1. Sieve plain flour, baking powder and almond meal together, set aside. 2. Beat butter, sugar and vanilla extract till creamy and white. 3. Add yogurt into it and mix well. 4. Add eggs one at a time, fully incorporated before adding the next egg. 5. Stop machine and use a rubber spatula to fold in the flour mixture well. 6. 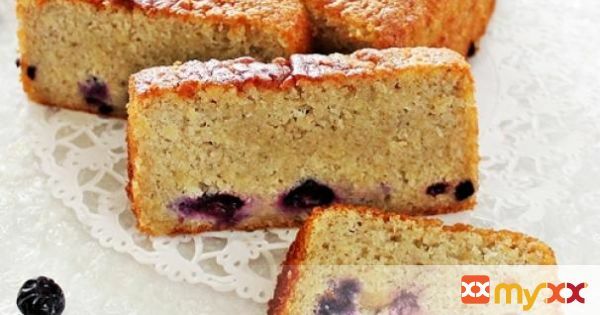 Lastly fold in the blueberry filling, mix well and pour batter equally into two oval shape cake pans. 7. Add some fresh or frozen blueberries on top (optional). 8. Bake at preheated oven at 170C for 30-35 mins or skewer inserted into the centre of the cake comes out clean. (Cover the cake loosely with an aluminium foil at half way of baking if you find the top of the cake is too brown).